The What: NewTek's 3Play Mini is a sports production suite you can carry anywhere. Anyone using up to four off-the-shelf HDMI cameras can produce multiple angle slow motion instant replays, edit highlights, roll stored video packages, create effects and transitions, publish to social media and much more.The What Else: 3Play Mini is powerful enough to drive your entire show, or plug into a switcher or video board and turn any production into amazing fan experiences that help attract big audiences, advertisers, and sponsors. 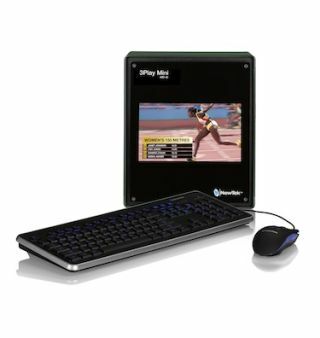 Out of the box, operators can control 3Play Mini with almost any touchscreen wireless mobile device or use an optional 3Play control surface.